The New York Islanders travel to Gila River Arena to play the Arizona Coyotes on Monday, January 22, 2018. The opening line for this game has the Islanders at -120 and the Coyotes at +109. New York has a record of 24-20-4 this season and on the road they have a record of 11-13-1-0. They are 7th in the Metropolitan Division. They've scored 168 goals and given up 176 goals for a point differential of -8. For the season they have an ATS record of 24-24-0 and an over/under record of 32-13-0. Arizona is 11-28-9 including 5-14-3-2 at home this season. They are 8th in the Pacific Division. They've scored 114 goals and surrendered 168 for a goal differential of -54. Their record against the spread is 11-37-0 while their over/under record is 21-26-0. Anders Lee has accumulated 42 total points this season for the Islanders. He has 27 goals this year with 113 shots on goal, giving him a shooting percentage of 24%. He has a total of 15 assists on the season and averages 17.1 minutes played per game. Josh Bailey averages 17.9 minutes of ice time per game this year. In that time he has a shooting percentage of 16% by scoring 12 goals on 76 shots. He has 41 assists, giving him a total of 53 points on the season. Jaroslav Halak has 14 wins and 14 losses this season in net for the Islanders. He has 1,011 shots against him and he's given up 95 goals. He's made 916 saves for a save percentage of 91%. Clayton Keller has scored 36 total points this year for the Coyotes. He has 14 goals this season with 130 shots on goal, giving him a shooting percentage of 11%. He has a total of 22 assists on the season and averages 18.4 minutes played per game. 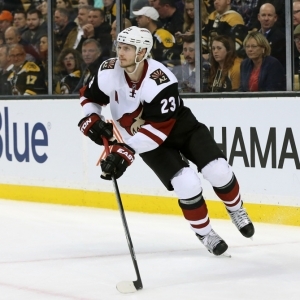 Oliver Ekman-Larsson averages 24.4 minutes of ice time per game. In that time he has a shooting percentage of 7% by scoring 8 goals on 122 shots. He has 14 assists, giving him a total of 22 points on the season. Antti Raanta has 7 wins and 12 losses this year in goal for the Coyotes. He has 726 shots against him and he's surrendered 60 goals. He's made 666 saves for a save percentage of 92%. The Islanders have 52 total points this season, which ranks them 20th in the NHL. They are 1st in the league in goals scored with 168 while they've given up 176 goals, ranking them 1st overall. They have had 156 power play opportunities and have scored 32 goals on those chances for a percentage of 21%. That is 12th in the NHL. The Islanders have allowed 147 power play opportunities and have given up 39 goals on those chances for a penalty kill percentage of 73%, putting them 30th in the league when short-handed. They average 31 shots per game and as a team shoot 11.18% for the season. They allow 35 shots to their opposition per contest and have a team save percentage of 90%. That puts them 28th in the league in stopping the puck. The Coyotes are 30th in the NHL with a total of 31 points this year. They have 25 power play goals on 145 opportunities for a percentage of 17%. That ranks them 21st in the league as a power play unit. They've allowed 120 power play opportunities and have given up 25 goals on those chances for a penalty kill percentage of 79%. That is 22nd in the NHL. As a team, the Coyotes are 30th in the league with 114 goals scored while they've given up 168 goals, which is 2nd overall. They average 30 shots per contest and have a team shooting percentage of 7.89%. As a team they give up 32 shots per game and have a save percentage of 89%. That is 30th in the NHL. New York is 25th in the NHL in Corsi percentage with 48.1%, as they've attempted 2,757 shots on net at full strength while they've given up 2,979 shots on net in the same situations. Their Fenwick percentage is 47.4% as they have 2,026 attempts while they have given up 2,251 shots on the defensive end. That ranks them 30th in the league. The Islanders start possessions in the offensive zone 48.3% of the time, which is 29th in the league, while their defensive zone percentage is at 51.7% for the season. That is 9th overall in the NHL. They have 1,417 face-off wins compared to 1,511 losses, meaning their face-off win percentage is 48.4%. That ranks them 27th in the league. On defense New York has 1,032 hits and they have blocked 728 shots from the opposition, putting them 6th overall. The Coyotes start possessions in the offensive zone 47.9% of the time while their defensive zone percentage is at 52.1% for the year. That ranks them 25th and 3rd respectively in the NHL. They have 1,439 face-off wins as opposed to 1,576 losses, meaning their face-off win percentage is 47.7%. That is 26th in the league. On defense Arizona has 1,152 hits and they've blocked 691 attempts from opposing offenses, ranking them 14th in blocked shots. Arizona is ranked 18th in Corsi percentage with 48.8% as they've tried 2,803 shots on goal while at full strength while they have surrendered 2,938 shots on net when they have a full team on the ice. Their Fenwick percentage is 21st in the NHL at 47.7%, as they have 2,048 shots while they've given up 2,247 attempts on defense. 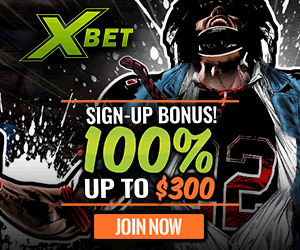 Who will win tonight's Islanders/Coyotes NHL game against the spread?